Bellator 208 has one of the best possible fights as the main event! 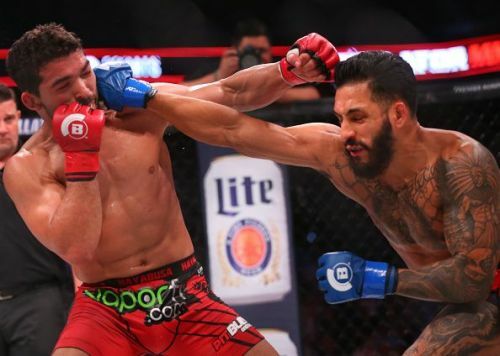 Bellator 207 was an excellent event with a brilliant card from every point of view, and the show did not disappoint at all with what it achieved. Now Bellator 208 looked to pick up from where the event left off the very next night. 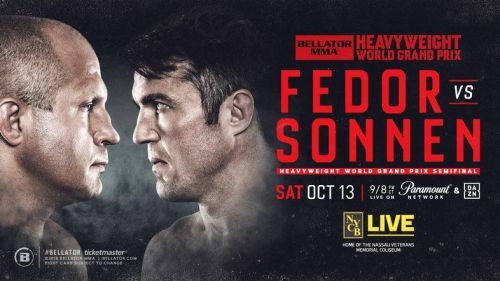 The back-to-back events from Bellator headlined by the Bellator Heavyweight Grand Prix Tournament semi-finals come days after the chaos of UFC 229 and Khabib Nurmagomedov and Conor McGregor. Bellator 207 was a refreshing change after that, with fighters showing each other a lot of respect in their fights, something that was drastically missing in the UFC 229 main event. However, now that Bellator 207 is gone, Bellator 208 was one where the two fighters don't have much respect for each other; or at least one of them does not. While Fedor Emelianenko [Read: The Truth about Fedor Emelianenko] has held his respectful silence, as usual, Chael Sonnen [Read: The Real Chael Sonnen?] has not returned the favour. He played the American card, saying that Fedor was from Russia and that the United States audience was stupid for still continuing to support him. The loudmouth 'American Gangster' came into the pay-per-view looking to win the semi-final and make his way into the final of the Bellator Heavyweight Grand Prix to face Ryan Bader. You can read the Bellator 208 preview right here. Before heading into the main card of the night, let's take a look at what happened in the Preliminary Undercard during Bellator 208. Without any further ado, let's get into the results from the main card of the night. Round 1: Henry Corrales showed everyone why he was the proven fighter that he is, when he managed to stop Andy Main in his tracks. The fight did not have the friendliest starts with no glove tap. Main was peppered with body shots. Despite not being the smaller opponent, Main could not take advantage in the first round. Near the end of the first round, Henry Corrales brought shots to the head of Andy Main as well. Round 2: Main looked to come out swinging and actually landed a big blow, but Corrales walked through it nonetheless. He then followed up with his own big left at 1 minute into the fight, and another shot a bit later. Main gets a takedown but Corrales gets up immediately. The two exchange blows, with Corrales getting a left hook, body, head, body, shot heading out of round 2. Round 3: Corrales came out swinging this time, and Main took advantage of him with a leg kick and big one on the chin. Corrales hits the leg kick and a chin blow both of which hurts Main. Main's right leg was hurt and Corrales took advantage with a left and knocked Main out with rights on the ground.